Two Chefs from Brooklyn created a buzz with their colored root vegetable chips served at elegant Manhatten events. The chefs felt they could have a retail product when Zabar’s agreed to take the 5oz hand packed bags selling for $7. At this stage, Bright was given the challenge to position and launch a new product into a mainstream arena that inexpensive, low quality junkfood. 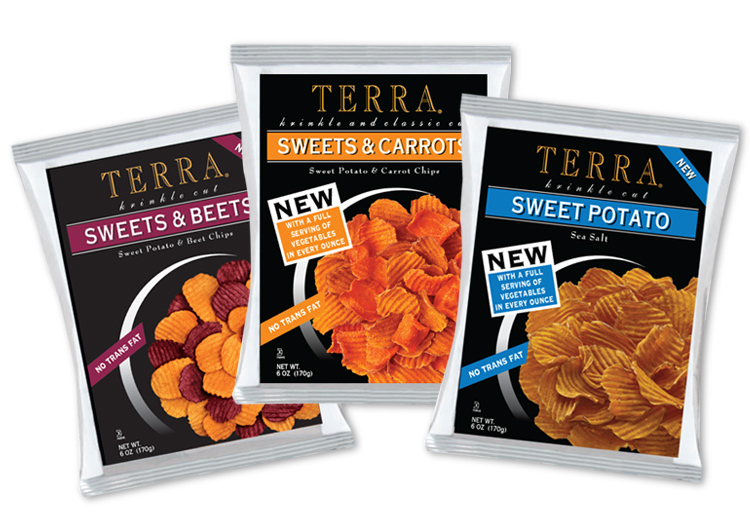 Our first impulse was to differentiate Terra Chips with Potato Chips. Only the thin sliced format was recognizable. 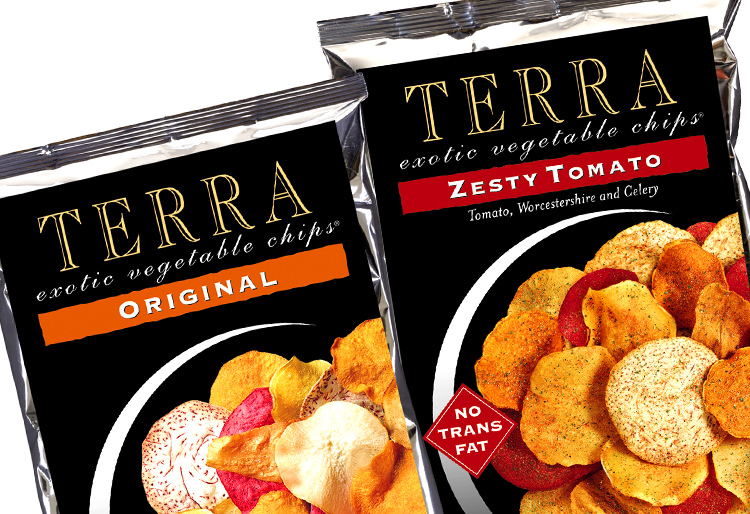 Elevated positioning was achieved through use of classic type, the black package (gourmet background, which at this time did not exist anywhere in the snack aisle), the tagline “Exotic Vegetable Chips”, and by the graphic of a plate which referenced food rather than snack. The premium positioning validated the higher price point and created a new category of gourmet snacks that set a trend for many others who followed. 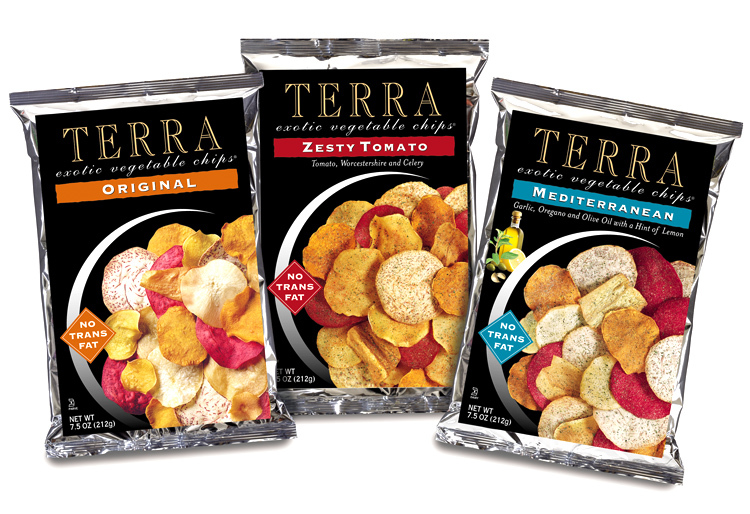 Acquired by the Hain-Celestial Group, Terra Chips has gone on to represent a significant portion of the snack division sales and has been extended to 9 product lines, worldwide.